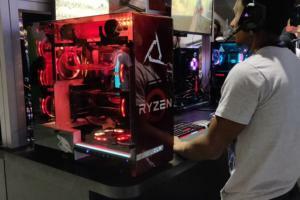 So you built yourself a brand-new gaming rig, you’ve slotted your sweet new graphics card into the PCIe slot, you’ve sealed up the case, and you’ve heard it all POST—congrats! Now it’s time to throw games at your fresh build until it breaks, then cry at the thought that if you’d spent just 200 dollars more you could’ve played at 4K instead of a mere 1080p! Don’t know what games to start with? No old favorites? 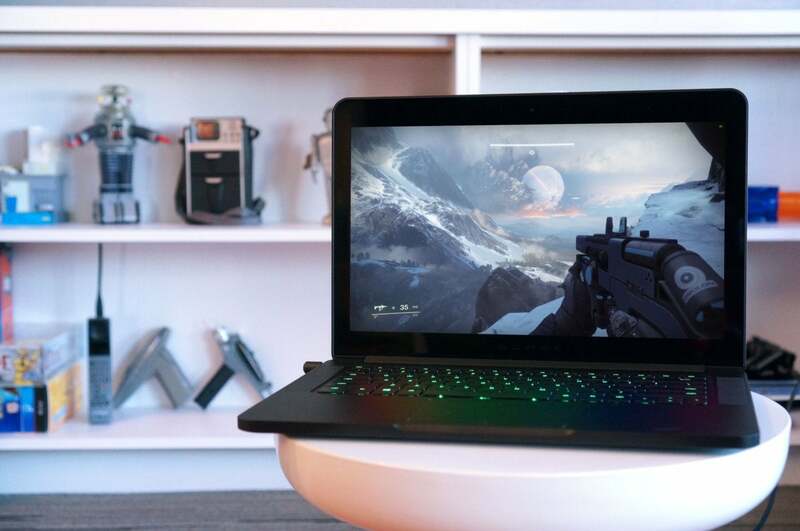 We’ve got just the ticket when it comes to handing your computer a stack of heavy weights and saying, “Lift this.” These punishing PC games will bring even powerful rigs to their knees—but the eye candy is utterly delicious. 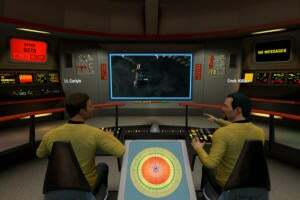 Editor’s note: This article is updated frequently with the latest, most potent games around. A prediction: As long as this list exists, there'll be a DICE game on it. As we close out 2018 that game is Battlefield V ($60 on Origin), DICE's first foray into World War II in almost a decade. 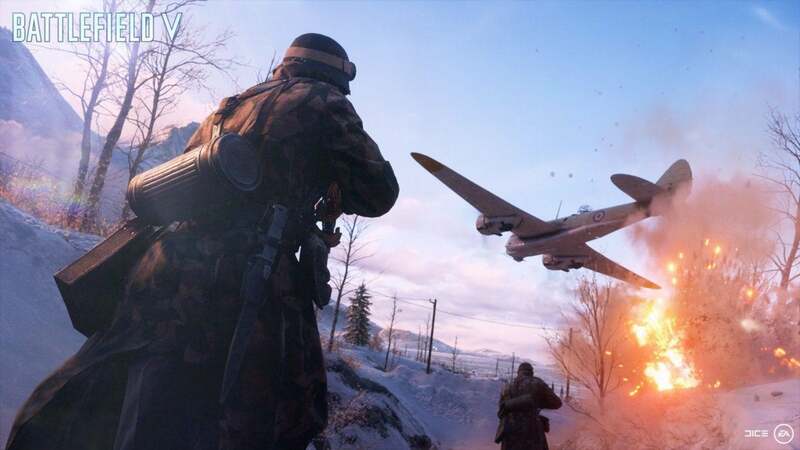 From the bombed out ruins of Rotterdam to the snowy mountain peaks of Norway, Battlefield V looks fantastic. Buildings crumble, tanks burn, the Northern Lights twist and turn, and snow even scatters in little poofs when stray bullets hit the ground. And if you’ve got one of Nvidia’s fancy GeForce RTX graphics cards, the game’s real-time ray traced reflections look stunning, albeit at a significant performance hit. Frostbite has proven to be a disastrous engine for some of EA's other projects, but it's sure great at turning out phenomenal-looking shooters. 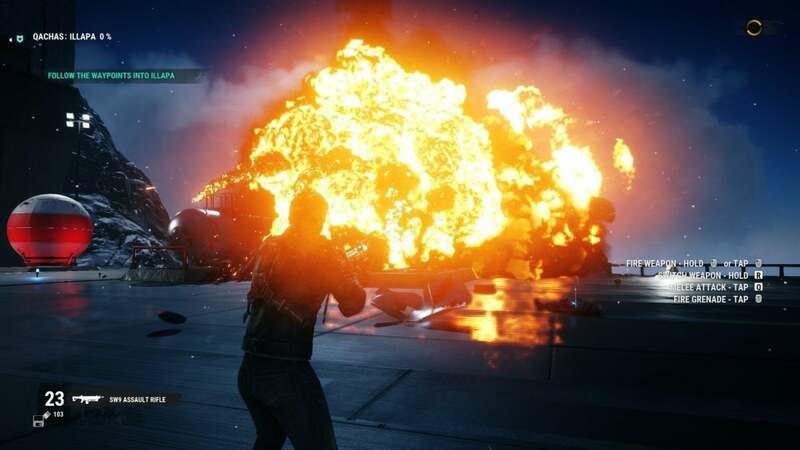 Just Cause is a series designed to punish your PC. Each one's got a massive open world and a ton of physics-based explosions, and the games put you right at the center of all the chaos. In some ways the latest iteration, Just Cause 4 ($60 on Humble) is a step down from its predecessor. Just Cause 3 had better foliage and definitely had better character models. On the other hand, it ran terribly even on high-end hardware. Just Cause 4 will stress your PC, but in a good and healthy way. Even the most complicated explosions go off without a hitch here, and the draw distance is incredible. This is easily one of the largest game worlds I've traversed, and you can see a whole lot of it from inside (or outside) a jet. Assassin's Creed: Odyssey ($60 on Humble) looks much the same as its predecessor, the Egyptian-themed Origins. That said, I spent most of my time with Origins raving about its draw distance—"You can see the Lighthouse at Alexandria from across the map"—and if there's one thing to know about Odyssey, it's that the game is massive. Like, multiple times the size of Origins. No surprise, the draw distance is fantastic here as well, especially from the top of the snow-capped Mount Taygetus. There's an argument to be made that Assassin's Creed: Odyssey is too damn big, from a game and story perspective—but those arguments don't matter when we're talking raw technical prowess, and Odyssey is certainly an impressive achievement in that regard. Hitman 2 ($60 on Humble) might not immediately put you in a "Can it run Crysis?" mindset, but it's one of 2018's most subtly taxing games, for a number of reasons. First up: Reflections. All of Hitman 2's mirrors are entirely functional, meaning enemies can spot you sneaking up behind them. It has a minimal impact on the game itself most times, but that extra rendering still requires a substantial performance investment. Yes, that's right, working mirrors are still a noteworthy hurdle for developers in 2018. Game development's wild sometimes. 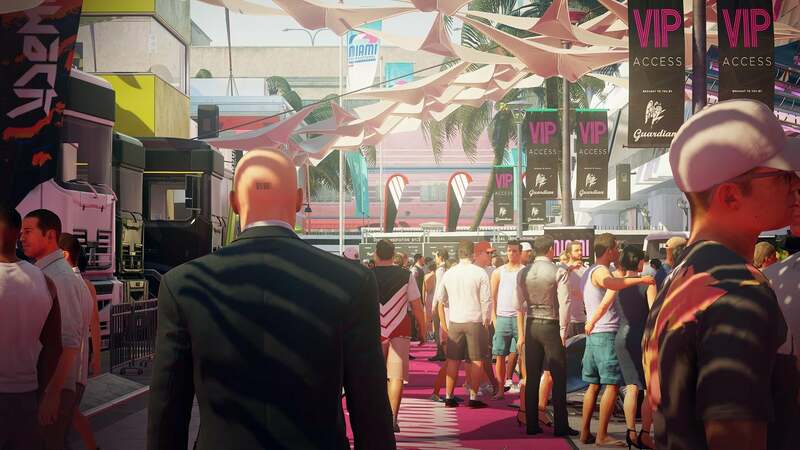 Crowds and foliage are also performance-hungry though, and Hitman 2 is full of both. The Miami level for instance features both a functional racetrack and a museum, both teeming with onlookers, while the Colombia level is packed with greenery for Agent 47 to hide in. There's unfortunately no official benchmarking tool this time around, but Hitman 2 is still a great stress test—and one of 2018's best games as well. 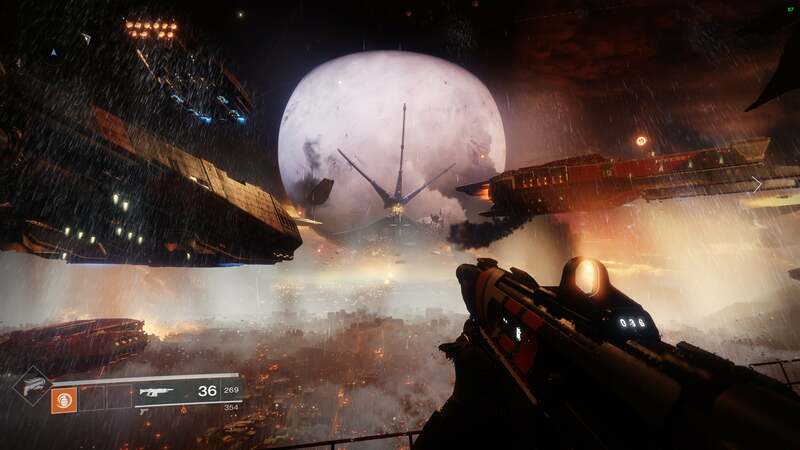 Is Destiny 2 ($60 on Humble) a performance hog? Not to the same degree as some other games on this list, that's for sure. But maybe that makes it more impressive that Destiny 2's one of the best-looking shooters on PC. It doesn't approach the realism of Battlefield, but I struggle to name another shooter as consistently beautiful as Destiny 2, or with any environment as dynamic as the Forsaken expansion's Dreaming City. It's jaw-dropping to behold for the first time. And Destiny 2's straight-up better now than it was at release. I know, I know—Destiny fans have been through this wringer before. Forsaken is a genuinely great time though, with an entertaining campaign, some actually decent end-game grind, a phenomenal raid, and its uniquely addictive Gambit multiplayer mode. I've sunk a lot of time into it since release, and when I'm away I can't wait to get back. Quite a turnaround after a rough first year. It can be beautiful on a macro level too, though. Lighting is one of Destiny 2’s strong suits. Some of its most incredible set piece moments are bolstered by powerful mood lighting—neon hues, eerie and sterile white ambiance for Vex strongholds, or even something as subtle as a shift in color temperature from blue to amber as you cross a mountain peak and walk into the sunlight. The game’s not perfect by any means, but it does look consistently great. 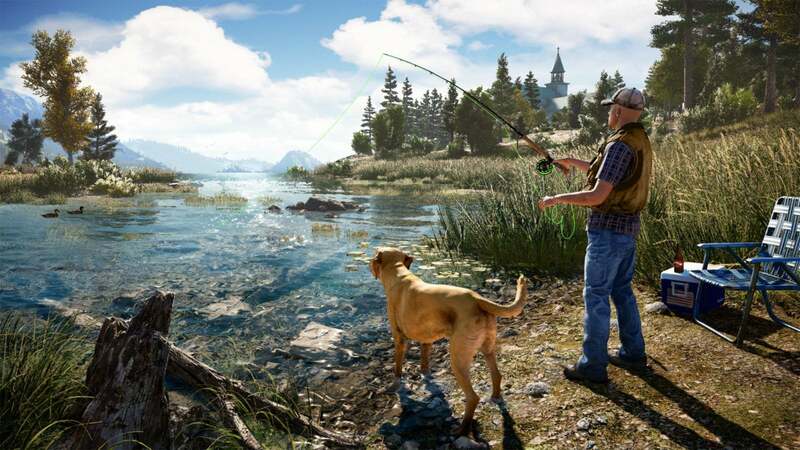 Far Cry 5’s recreation of Montana is jaw-dropping. Craggy mountain peaks, winding rivers, the low-hanging morning fog, fields full of crops and abandoned farm equipment, and even the man-made cabins and ranger stations. There’s a ton of variety, and it is all universally beautiful, immaculately detailed in a way few open-world games are. Sure, there’s not much to do in that world, and like a lot of Ubisoft games Far Cry 5 ($60 on Humble) ends up feeling more like an art showcase than a properly fun experience. But damn, it is very impressive to just walk around in this one with all the bells and whistles. Here’s all you need to know: In order to play Final Fantasy XV at 4K, you need 155GB of space for the install. Yes, you read that number right. And here I thought Forza Motorsport 7’s 99GB install was bad. The full 155 GBinstall is optional at least, but come on—you know you want it. 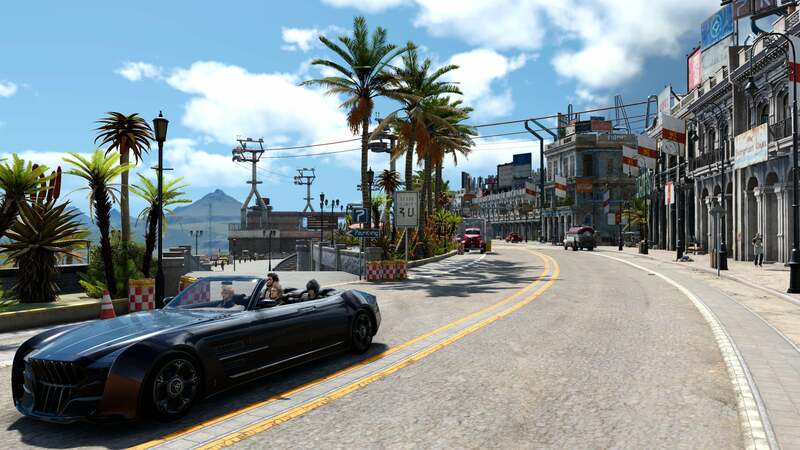 And credit where credit’s due, Final Fantasy XV ($50 on Humble) runs like a champ on PC and looks absolutely stunning when maxed out, with tons of lush foliage, incredible draw distances, and some of the most realistic skin, hair, and fur I’ve ever seen in a video game. Also, for whatever reason, some of the most detailed-looking food. 2017 was a crowded year for beautiful racing games, with Project Cars 2 ($60 on Humble) releasing in September and then Forza Motorsport 7 ($60 on Amazon) arriving on PC a few weeks later. There’s plenty to be said about both games, and I’m not here to critique tire models or whatever. 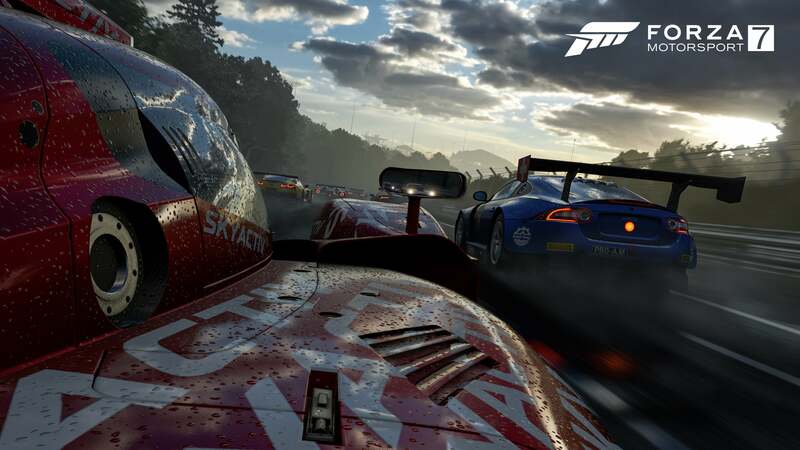 Forza is a bit more arcade-sim, Project Cars 2 a bit more sim-sim. Both look great in their own way though. I think Project Cars 2 looks more photorealistic, but Forza 7’s slightly stylized graphics are no slouch either—especially the incredible dynamic sky/weather tech that debuted in Forza Horizon 3 and then returned in Forza 7. It’s worth noting also that Project Cars 2 supports VR headsets, if you want that ultimate racing experience (or just really want to stress-test your PC). A game engine is just a tool, and you can use that tool to do anything—but generally, like a hammer, it’s mostly suited for a specific thing. And CryEngine? It’s mostly suited for making Crysis, a.k.a. ultra-detailed shooters with a lot of foliage. 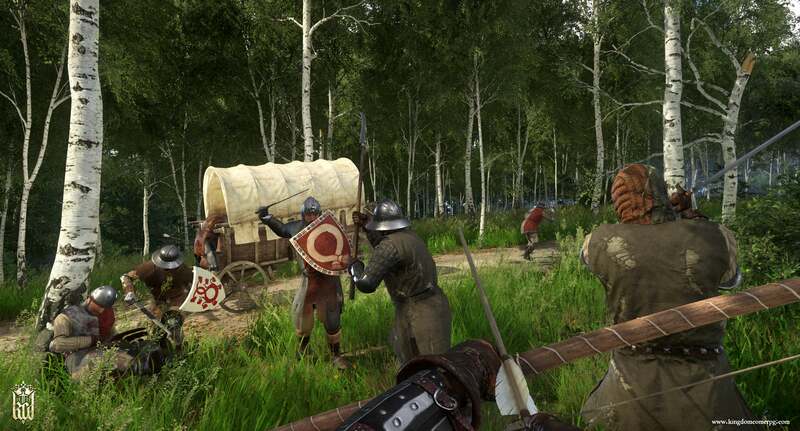 Kingdom Come: Deliverance ($60 on Humble) is not Crysis. Instead it’s an open-world RPG, a “realistic” recreation of a sliver of medieval Bohemia. And yes, there’s a lot of foliage, but it’s still very weird Warhorse Studios decided to use CryEngine for this project. More power to them, though—Kingdom Come: Deliverance looks absolutely phenomenal at times, especially those dark old-growth forests. “A Call of Duty game on a Best Graphics list?” I know, surprising. The various Call of Duty studios have really stepped it up in the last few years, though, and the results in both 2016’s Infinite Warfare and 2017’s WWII are pretty stunning. You still get the occasional blurry texture or low-res model, but many of WWII’s scenes are downright stunning—from the requisite Omaha Beach mission to the way trees literally explode in the Hurtgen Forest. But it’s the faces that are most impressive. 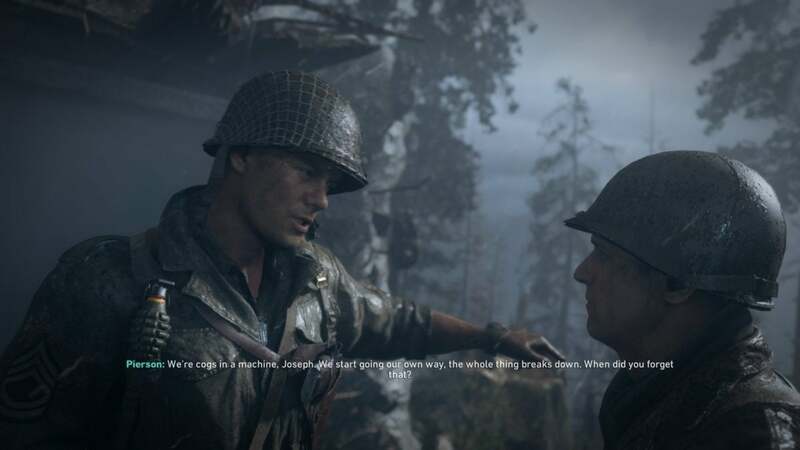 We still haven’t quite escaped the uncanny valley, but Call of Duty: WWII ($60 on Humble) is still pretty damn impressive. Characters convey emotion with eyebrow-raises, grimaces, and other subtleties that were unheard of a few years ago. Well, unheard of aside from L.A. Noire. Call of Duty: WWII’s not the only game to push facial tech forward in 2017. Hellblade: Senua’s Sacrifice ($30 on Humble) deserves to be on the list too. 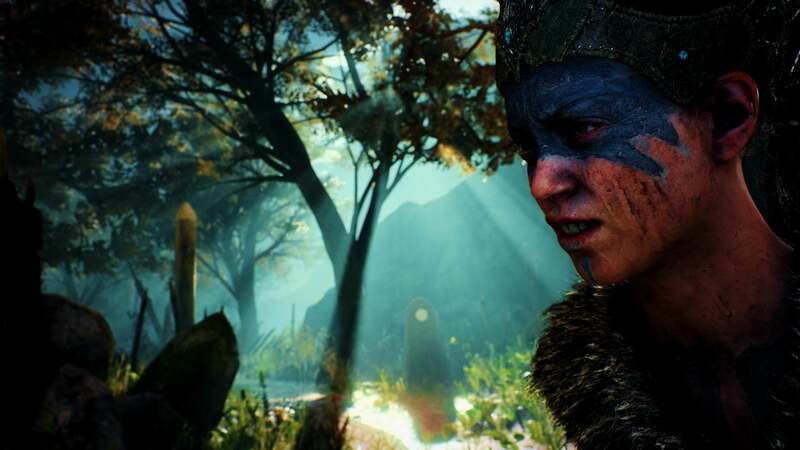 In fact, Senua’s probably the closest I’ve seen a game come to escaping the uncanny valley. We’re still not quite there—quality varies scene to scene, and her eyes still look like dead doll eyes—but wow it’s impressive. And done by a small team, too! The rest of the game can be just as impressive. Senua fights her way through burning villages, rivers of blood, and more on this journey through Viking mythology. It’s jaw-dropping at times, and an excellent candidate if you own an Nvidia card and want to test out its game-agnostic photo mode, Ansel. Remember that first demo of The Division ($50 on HumbleRemove product link) where people were so excited to see a character’s hands brush realistically against a car window? 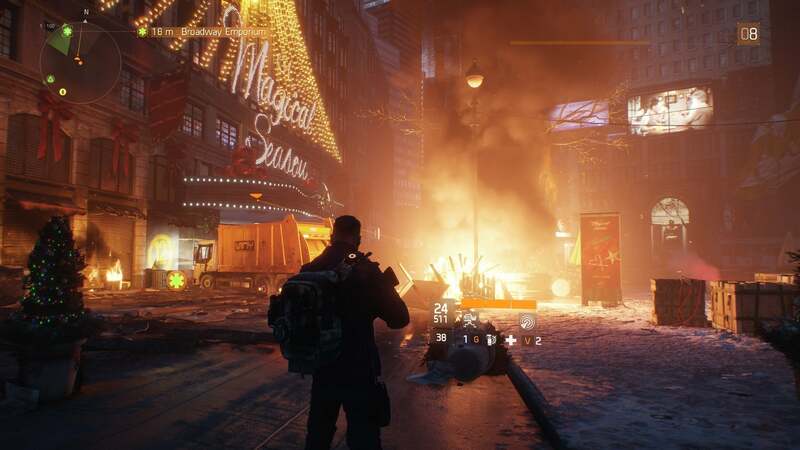 Okay, The Division may be just an okay game (though my colleague Brad Chacos loves its post-release “Survival” mode), and it may not look quite as good as those first E3 demos promised, but it’s still a damned luscious romp. 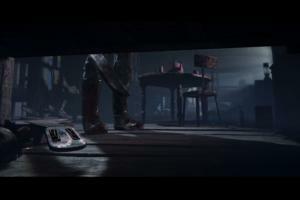 Many of the E3 demo’s small flourishes survived the release version. The quiet hush of snow-covered Manhattan is an excellent contrast to the constant threat of gunfights—though The Division will make your PC sweat if you crank all the options to 11. Next year’s sequel is looking great as well. We’ve only played one mission so far, but The Division 2’s recreations of Washington D.C. landmarks like the Hayden W. Mills building and the Capitol are stunning—even if the game itself hasn’t shown us anything new yet. The Witcher 3: Wild Hunt ($50 for GOTY Edition on Humble) wasn’t just our favorite game of 2015—it’s also a great candidate for testing a new setup. We can talk “downgraded graphics” until we’re blue in the face, but at the end of the day The Witcher 3 looks extremely pretty. And there’s quite a lot of it to look at. 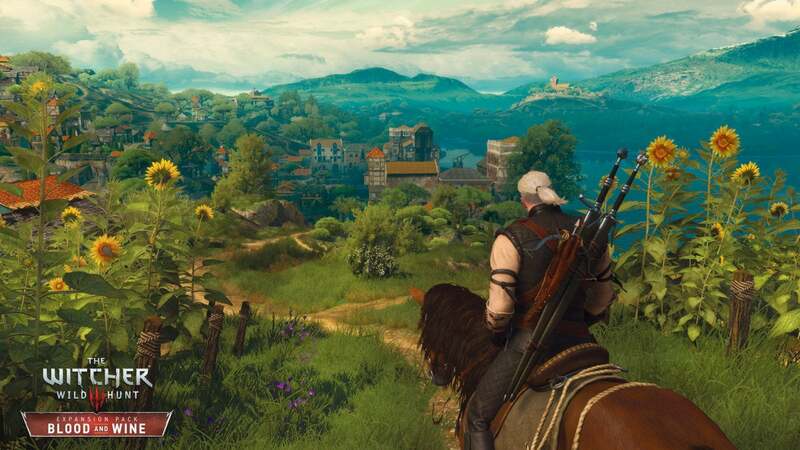 If you’re running an Nvidia card, The Witcher 3 is one of your best bets for testing out a bunch of GameWorks technology, from Geralt’s bouncy hair to HBAO+ (ambient occlusion). Honorable mention still goes to The Witcher 2 with ubersampling turned on. It doesn’t look as pretty as The Witcher 3, but it’ll sure melt your graphics card. 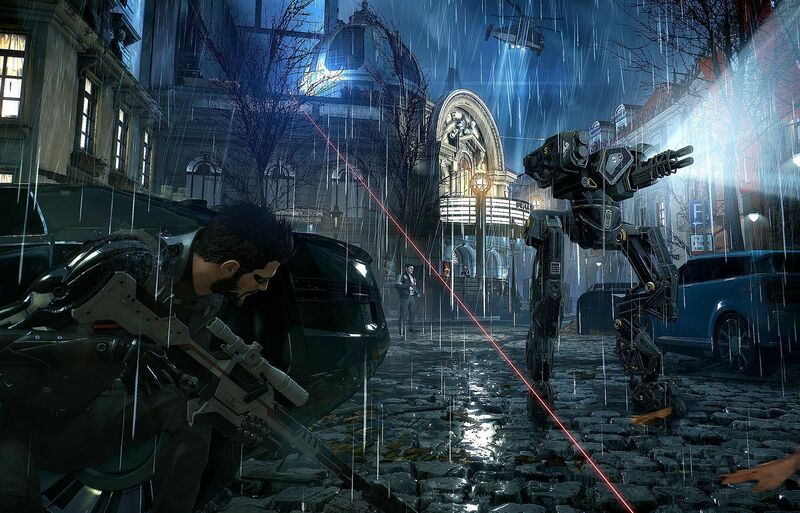 One thing Deus Ex: Mankind Divided ($30 on Humble) does right is look downright gorgeous. Sure, archaic “Just put vents everywhere” level design and a story that ends prematurely during the second act does the hallowed Deus Ex name some disservice—enough so that Square apparently isn’t funding a sequel. Sigh. But its slivers of near-future Dubai, Prague, and London are stunning, especially the reflections that dot every inch of its chrome-covered cyberpunk world. The recommended spec of a Core i7-3770K and GeForce GTX 970 might not seem too crazy, but Square says those beefy specs are just to hit 1080p at 60 frames per second on High settings. Very High or Ultra? You’re going to need to invest in some hefty hardware. You won’t even hit 60 fps at 1440p resolution with a ferocious GTX 1080 if you turn the graphics options up all the way. Also worth noting: Square is one of the only big publishers whose games are pushing DirectX 12 at the moment—including Deus Ex: Mankind Divided, which patched in support post-launch. The problem? It doesn’t work great. Performance is about the same on average between DirectX 11 and 12, with the latter actually doing worse in some circumstances. There are two reasons Dishonored 2 ($40 on Humble) could make this list. 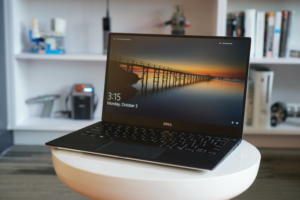 One is rather ignominious: It may quite literally punish your PC. 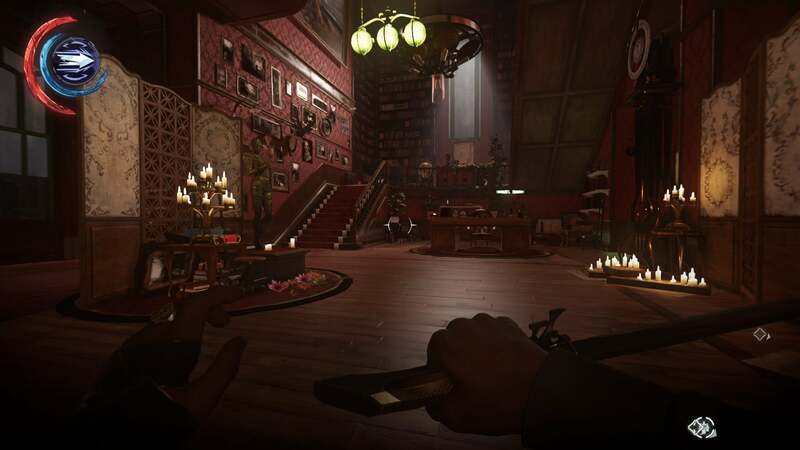 On release, Dishonored 2 was knocked for being poorly optimized, with the game suffering from all manner of stuttering and bugs. Those issues are mostly rectified, though you’ll still see scattered claims on Steam of poor performance—and the game can indeed be a bear if you try to run it maxed out. Set aside the lackluster initial PC port, though, and Dishonored 2 is quite an impressive piece of work. Its missions attempt feats I’ve never seen before in any game, such as the Clockwork Mansion, a house that rearranges itself as you traverse through it, whole walls sliding into the floor and new passages appearing at the pull of a lever. The writing ain’t any better than in the first Dishonored (and in some cases it’s worse), but the level design at least makes Deus Ex: Mankind Divided look archaic by comparison. Arkane also released Prey ($40 on HumbleRemove product link) in 2017. It’s worth noting because the port runs (on average) quite a bit better than Dishonored 2 and looks just as visually stunning. If you prefer System Shock 2 to Thief, space vistas to pseudo-Victorian “whalepunk,” then be sure to check out Prey ($40 on Humble). It’s fantastic—probably one of 2017’s top games. 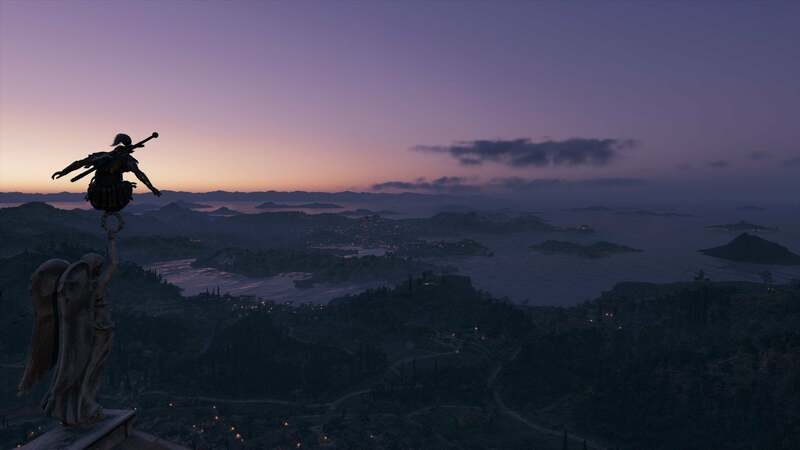 While Witcher 3’s draw distance is respectable, if you want the crowned champion look no further than Arma 3 ($40 on Steam). Go ahead, set the draw distance to 25 kilometers. I dare you. 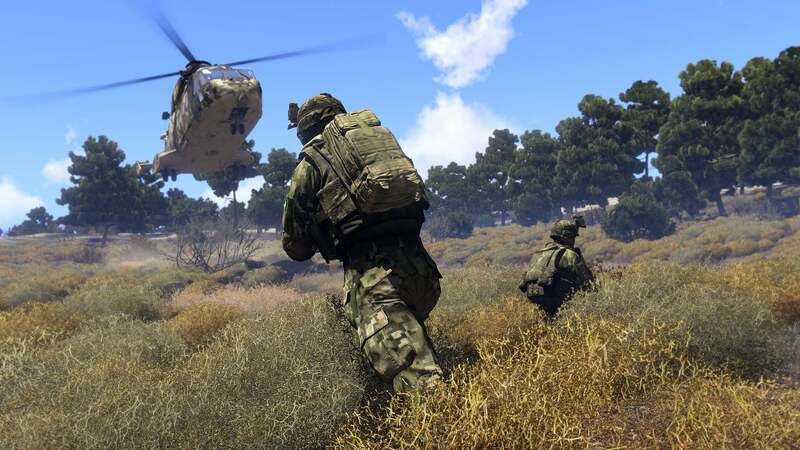 Arma 3 also has some beautiful lighting and particle effects. Thanks to the fact that it’s pretty atrocious at utilizing multiple processor cores, you can stress-test your CPU at the same time. Tracking all those bullet physics and moving targets in real time can murder your processor. 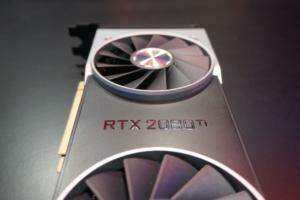 You’ll have trouble breaking the 60fps mark in this five-year-old game even with the most potent PC hardware if you have all the graphics options dialed up. We used to have a generic “VR Games” slide on this list, but Fallout 4 VR ($60 on Humble) is so heads-and-tails above anything else I’ve seen VR do, I think it’s time to call it. Fallout 4 is a difficult game to run even in its standard, monitor-bound form. Now imagine taking that entire world, running it at a decently high resolution, and maintaining 90 frames per second. Bethesda made some compromises to make it happen, but it did happen. 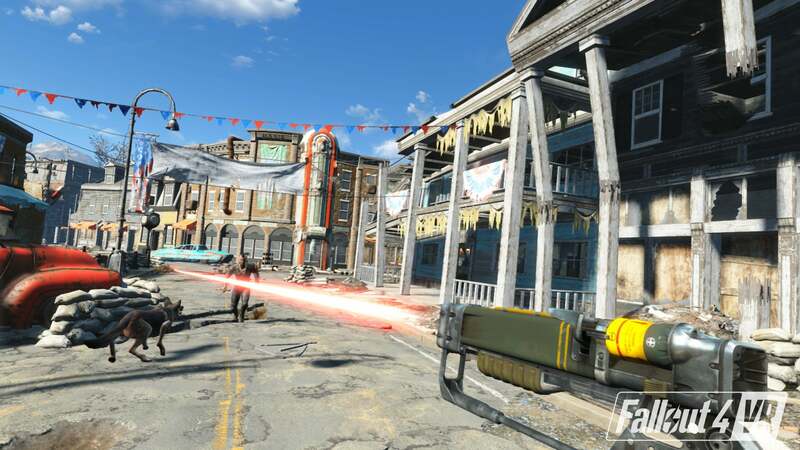 Fallout 4 VR is the full, 100-plus-hour Fallout 4 experience, but on an HTC Vive. It’s absolute hell on a graphics card, and it can be even more punishing thanks to full mod support. There are better-looking VR games out there: Trials on Tatooine, Google Earth VR, Everest VR, and Call of the Starseed all come to mind. But Fallout 4 VR is just a stunning technical achievement.